Article 1. To amend and supplement a number of articles of the Government’s Decree No. 100/2006/ND-CP of September 21, 2006, detailing and guiding a number of articles of the Civil Code and the Intellectual Property Law regarding copyright and related rights: 1. To add the following Clauses 11, 12, 13, 14 and 15 to Article 4: “11. 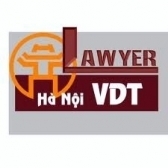 Work of a foreign organization or individual first published in Vietnam means a work which is not yet published elsewhere prior to its publication in Vietnam. 12. Simultaneous publication means the publication of a foreign organization’s or individual’s work in Vietnam within 30 days after it is first published elsewhere. 13. Royalty means a sum of money paid by a party that uses a work to its author or copyright holder in order to acquire the authority to use such work. 14. Remuneration means a sum of money paid by a party that uses a work to its author or copyright holder; or by a party that uses a performance to performers who carry out creative activities to convey a copyrighted work to the public. 15. Material benefits means a sum of money paid by a party that uses a phonogram or video recording to its producer or by a party that uses a broadcast to the broadcasting organization. “1. Lectures, addresses and other sermons specified at Point b, Clause 1, Article 14 of the Intellectual Property Law constitute a genre of work presented in spoken languages and must be fixed in a certain material form. 1. Authors of computer programs defined at Point m, Clause 1, Article 14, and Article 22 of the Intellectual Property Law are entitled to moral rights specified in Clauses 1, 2 and 4, Article 19 of the Intellectual Property Law. When signing contracts on creation of computer programs, organizations or persons that provide funds and physical and technical foundations for creation of computer programs, and authors of such programs may reach agreement on the right to title such programs specified in Clause 1, Article 19 of the Intellectual Property Law and the modification and upgrading of such programs specified in Clause 4, Article 19 of the Intellectual Property Law. 2. Organizations or persons that provide funds and physical and technical foundations for creation of computer programs are copyright holders and entitled to the publication right and exclusive economic rights specified respectively in Article 19 and Article 20 of the Intellectual Property Law. Authors of computer programs are entitled to royalty and other material benefits as agreed with copyright holders. 1. Folk literary and artistic works defined at Point a, Clause 1, Article 23 of the Intellectual Property Law, which are works in different genres of the art of words such as humorous story, fable, epic, mythology, legend, anecdote, poem, folk song, proverb, riddle and other similar forms of expression. 2. Folk literary and artistic works defined at Points b and c, Clause 1, Article 23 of the Intellectual Property Law, which are works in different genres of the art of performance such as classical drama (tuong), traditional operetta (cheo), reformed opera (cai luong), theme song, music melody; dance, performance, folk game, village festival, folk ritual and other similar forms of expression.